What the Rebel Loss of Aleppo will mean for Syria? The encirclement of Eastern Aleppo by the Syrian military and its allies is a major blow to the opposition. It reenforces regime aspirations that it can manage, if not entirely destroy the insurgency over the course of the next five years. It signifies four important developments that have been brewing for some time. First, this major regime advance was made possible by Russia’s direct entry into the war. Russia transformed the balance of power in Syria by taking the side of the Assad regime last October. What is more, it resulted in a retreat of the United States and its allies. President Obama stated on the day Russia entered the war, that the United States would not fight a proxy war with Russia for Syria. That simple statement signaled the collapse of Western, Saudi and Turkish escalation in Syria on behalf of the Sunni militias. The logic of escalation was simple. It was to weaken Assad and force him to cut a deal with the Sunni militias. It was hoped that a political solution could lead to a Sunni rebel ascendancy in Syria. Regime advances put paid to opposition hopes that their allies would help drive Assad from Syria. Second, Turkey is in chaos. All indications are that Erdogan, once he consolidates his power in Ankara and completes his purges of the Turkish security forces, judiciary and universities, will de-escalate in Syria. Turkey must stop its economic downward spiral. To do so, it must stop its wars. To rebuild tourism and foreign investment and consolidate support among Turkey’s middle classes, Erdogan must fight extremism. Prime Minister insists that Turkey will repair relations with Russia. Erdogan can no longer afford to provide covert support to most of Aleppo’s rebel forces, including al-Qaeda’s affiliate in Syria, Jabhat al-Nusra and other Salafi-Jihadist groups such as Ahrar al-Sham. This is why Nusra leader, Joulani, recently announced that he was officially cutting ties with al-Qaida central. He doesn’t want to get bombed. Third, the US and Western countries have prioritized their fight against ISIS and extremism over their efforts to arm rebel militias. In both US presidential conventions, not one word about removing Assad from power was heard. The West’s enthusiasm for arming “moderate” militias has cooled because so much of those arms ended up in the hands of Nusra and the Salafists. Obama’s recent efforts to formulate a common strategy with Russia to fight ISIS and Nusra has sent a clear signal to the entire region that stability, not regime-change, are paramount for both. This is good news for Assad and bad for the rebels. Forth, the reconquest of Aleppo fits into the larger regime strategy by consolidating its grip on what has been called “Useful Syria.” More than half of Syria’s population lives in its four great cities: Damascus, Homs, Hama and Aleppo. The regime is intent on retaking these four cities for they are the heart of the nation, certainly the urban nation. It should be remembered that Syria is a country of deep divisions, not only between religious communities but also between the classes and between urban and rural society. The upper and middle classes live in the cities. By restricting the rebellion to the poorer countryside and tribal regions, Damascus will have scored a moral and strategic victory. It will be able to turn rich against poor and city against village. Syria’s rebels have grown progressively weaker over the last year. Russia’s entry into Syria was key to this shift. But other trends also contributed. Jihadist bombings in the West, Turkey and Saudi Arabia eroded support for arming rebels. The refugee problem in Europe, also undermined the desire to escalate in Syria. Iraq’s destruction of its Sunni rebellion weakened Syria’s rebels. The rise of ISIS and Nusra to paramountcy in Syria, undercut those arguing for arming rebels. For all of these reasons, the future looks dark for the rebel cause. Assad’s encirclement of Aleppo is an important chapter in Syria’s ongoing struggle. Bacevich Fellow at the Center for a New American Security (CNAS), who helped author the center’s new report on combatting ISIS and dealing with Syria. Losing Aleppo would not be a deathblow to the broader Syrian armed opposition movement, as too much of the country has fallen out of Assad’s control to the various different revolutionary forces. And Bashar al-Assad is highly unlikely to import enough IRGC-mobilized militias to hold all of the ground that might be retaken from the rebels throughout the country. Perhaps even within the larger Aleppo governorate itself. However the loss of Aleppo would dispel any illusions that the armed opposition can seize and hold large areas of the most important cities in western Syria. Or that the long-sought unity of Aleppo’s rebel factions to resist Assad, over the long term and without significantly greater foreign military intervention than it has received, was anything more than a daydream. The loss of rebel-held areas of Aleppo would be a big boost to the al-Assad government’s Narrative of Resistance, and for its assertions that it is marching inexorably toward an ultimate triumph in the war against a foreign conspiracy directed at Syria. 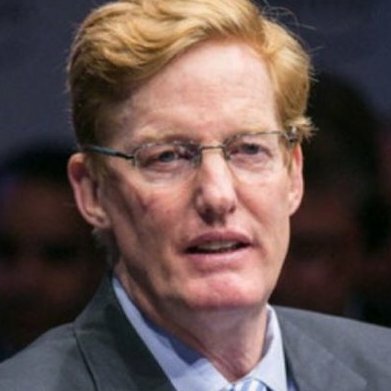 It would also reinforce the idea within the upper echelon of the loyalist ranks that Assad’s forces (and their foreign friends) can “win” the war, even if it will be over the course of a long, twilight struggle. Further, a long siege of of opposition-controlled Aleppo would also draw out the horrible suffering of civilians in the rebel-held areas of the city. This suffering, which would play out before the eyes of the international community on an hourly basis, could very well be the death knell of opposition-supporting countries’ credibility with the armed opposition. And it just might be the final push that unites the disparate rebel factions in northern Syria under the banner of Jabhat Fateh al-Sham. Unless somehow rolled back by the rebels, Assad’s reconquest of eastern Aleppo could turn into a very drawn-out siege, which would no doubt have horrifying effects for the civilian population. But the effects are not just humanitarian or even military, there’s also a political side to this. If Assad shows that he is winning Aleppo, and he’s now also advancing on the rebels in Damascus, it could trigger a more dramatic shift by finally convincing opposition groups that they have lost the war. Many thousands of them would probably fight on regardless, for ideological reasons or simply because they see no hope for survival under Assad. But some might decide to abandon the fight and flee Syria or try to negotiate a separate peace with the government. One problem with that is that Assad has historically shown himself to be too politically inflexible to capitalize on his military victories. This has been a constant source of frustration for his allies, but it just seems to be the way the regime works. Now, there are some signs of a more intelligent political management this time around. Assad has just decreed an amnesty for rebels who hand in their guns within three months. It’s probably in the hope of triggering defections, and also to show Syrians and foreigners alike that he can in fact reintegrate former enemies and would therefore be able to reunify Syria. But given the lawless way in which his security forces have always acted, I suspect many will think twice before taking him on his word. Perhaps most importantly, if Assad cements his hold on Aleppo through a siege or even by retaking it in part or in full, that could be the moment when certain foreign backers of the rebellion decide to call it a day. No one is going to rush to embrace Assad after all of this and nations that have developed strong proxy forces in Syria will be reluctant to abandon their investments. But it does change the political horizon for the rebels’ backers. In my view, it is not realistic to expect countries like Turkey or Saudi Arabia – never mind the United States – to first let the rebels lose Aleppo and then rally the force needed for them to take it back. They’re not going to start from scratch again. When it’s gone, it’s gone, and the only thing that can change that is if the government itself has an internal meltdown. So without Aleppo, it is a different war and probably one in which some of his enemies will think differently about Assad’s role. Not all, but some of them, and that might be enough to alter the terms of the conflict. By Ammar Abdulhamid – He was a fellow at Brookings and the Foundation for the Defense of Democracies. He was the first Syrian to testify to congress against what he viewed as crimes by the Syrian president. The loss of Aleppo will constitute a major blow to rebels in Syria, but it will neither end the rebellion nor the civil war. In fact, feeling betrayed and let down by their allies, many rebels, in Aleppo and elsewhere, will be radicalized, far more than they are today. This means that the ranks of the Islamic State, Al-Nusra Front and other terrorist groups, even as they face their own existential challenges, will swell, and other fronts will heat up. Damascus in particular can expect serious escalations, as attacks against the civilian population, and on vital infrastructure, such the all too vulnerable water supply sources and routes, are bound to increase. Aleppo itself will not be completely pacified, and some reversals should be expected. In some instance, the besiegers could find themselves besieged, at least by terror. Few will stay not to mention return. Most of the city will be a deserted wasteland, and its ethnic makeup will be drastically altered. On the political level, opposition groups will have another thing to cry foul about. But their cries, as usual will continue to fall on deaf ears. Irrespective of popular impressions and populist agitation, Syrian refugees in neighboring countries as well as Europe have actually been well-behaved, and have so far refrained from taking part in any criminal or terrorist activities. The fall of Aleppo could change that as desperation sets in. And the tragic Syrian saga of letting worst case scenarios become self-fulfilling prophecies will continue, aided by continued reliance on short-sighted policies that fail to even tackle the symptoms not to mention fight the disease. In short, the loss of Aleppo will constitute a pyrrhic victory than a decisive blow, and could heat things up rather than calm them down. The Syrian conflict will not end in accordance with any existing vision or plan, even one backed by Russia and the United States. After all, regional forces have been the main drivers of the conflict, and they are not ready to end it yet. Was following a twitter conversation between Thomas Pierret, Steven Heydemann and Emile Hokayem in which the Regime’s and Russia’s willingness of mass depopulation of opposition areas was mentioned which reminded me of the words (from early in the revolution) of the former public prosecutor of the Syrian city of Hama, Adnan al-Bakur. @SHeydemann Russia ready to create millions more refugees to mitigate that requirement. Counter-insurgency less costly in an empty land. Assad is pursuing a strategy of depopulation. Cheaper/easier than winning hearts/minds and doing counterinsurgency. According to SOHR the rebels are not allowing civilians to flee from Eastern Aleppo, this contradicts the common propaganda about civilians being trapped and unable to leave. Using civilian areas as bases for military operations has been the corner stone of rebels policy since 2011. Rebels use civilians as human shields and PR tools, if those areas are bombed rebels and their supporters cry foul and if they are not they claim victory !! 1: I would regard the coup in Turkey as the actual strategic sea change. The encirclement and capture of Aleppo is simply the first strategic result of it. 2: The Russian pov. was that the Turkish deep state was supporting certain groups of Rebels in Syria, while Erdogans government supported other groups. The groups supported by the Turkish deep state (typically somewhat more ethnically defined and a bit less Islamist) are now up in a creek without a paddle. Given Erdogans current internal distractions, the more Islamist groups supported by him will have to deal with an at least temporary reduction of Turkish supply. Support for former Turkish deep state supported groups will effectively resume once these groups find a new sponsor, this may take a while, but could also happen pretty quickly. Islamist groups formerly supported by Erdogan will find their support increasing the more Erdogan centralizes power. A total sellout of these groups by Erdogan is not likely, as it would imply weakness and Erdogan has no interest being seen as weak at this point. I would predict an intense Russia/SAA assault on groups formerly supported by the Turkish deep state. It is a rare opportunity to effectively kill Turkish assets with Turkish consent, and Russia is unlikely to miss this opportunity. If opportune, Russia could be capable of casting groups it wanted to get rid off anyway as having had the support of the Turkish deep state as well. 3: Such operations would feature major Maskirovka, and also strive hard to encourage defections. Russia likes defectors, and generally has the resources to treat them decently. The thing is, individual groups would not have the luxury of defecting to Russia, they would be defecting to Assad and that is a very different story. 4: A narrative of Aleppos fall would be of great use in encouraging defections. I would btw. predict “Rebel leaks”. SAA and allies should capture sufficient amount of IT equipment etc. to use this for a major propaganda effort. 5: One cannot stress how vital the actual information war, as in war about actual information, as opposed to propaganda warfare, is. If SAA+allies can, following the fall of Aleppo, create a narrative of “yield, with terms, or we send the forces that took Aleppo at you”, they can reap major benefits in second order defections. Due to the fact that Russias air force is indeed highly mobile and highly powerful, it would not take much to make such narratives credible. The important issue for Russia is to use her air force in conjunction with approaches in the informational, subversive and public sphere while maintaining a sufficient degree of cohesion throughout the loyalist alliance. 6: A point of considerable contention will be the Loyalist-Kurdish truce. Russia, due to not having any Kurdish minorities within its borders, and due to a pretty long history of supporting Kurdish interests, is quite noticably pro Kurdish. Towards their Iranian and Syrian (Iran has not forgotten the Mahabad republic) allies, they could justify their support of the Kurds by stating that Kurdish aspirations are far more damaging and dangerous to Turkey then they are to either Syria or Iran. With Turkey being much less of a threat the Kurds could, in the eyes of certain Syrian and Iranian actors, have “outlived their usefulness”. 7: The distinction of “useful vs. not useful” Syria is however quite interesting, and would work against an impending Loyalist attack on Rojava for a number of reasons. First, it would still be very hard for loyalists to hold positions close to the Turkish border. If one adds the not exactly rich economy of the Kurdish areas, leaving these areas to the Kurds as a buffer against Turkey does make sense. Especially since, in my opinion (no access to the sea, indefensible border, infrastructure is not in the least optimized for that configuration), the Syrian Kurdish areas do not constitute a viable statelet in the long term. From the Assad pov. attacking Rojava gets them a lot of “not useful” land, risks alienating both Russia and the USA and does not present much of a strategic gain. Finishing up, after Aleppo, rebel holdouts in Damascus, and reinforcing control on the Jordanian border, are things which would appear to be far more achievable and have a bigger payoff (like economical improvements in Damascus etc.) for sucess. Taking back Aleppo is a e economy is by far much worse , the division of the communities are at its worst statemajor setback to the rebels , no doubt , but this is not the end of the revolution , the history of Syria , if we ALL , read it again we know this is not the last chapter, one of the main reason of rebels failure , so far, is lack of unity, and lack of leader that can unify this revolutions, also the Obama factor, who allowed Putin to make gains in Syria , and build a military base , while US hold defensive weapons away from rebels. Turkey is busy now getting rid of the putchists , this is not going to take long time , , six weeks , Erdogan is a persistant man, proved to be very popular now, and hard for US to overthrow him , there are talks about get rid of many US bases in Turkey, so US has two choices , abandon Turkey, or , please Turkey , it is not advantageous for US to abandon Turkey, European countries will carry such a burden, and will put pressure to keep turkey as an ally. Disregard for civilian lives in Syria is not limited to the regime. Everybody is guilty including The US (and NATO), rebels, Turkey and the GCC. This is the worst time to be Syrian whether you live inside or outside Syria. (CNN)Captured military officers raped by police, hundreds of soldiers beaten, some detainees denied food and water and access to lawyers for days. These are the grim conditions that many of the thousands who were arrested in Turkey face in the aftermath of a recent failed coup, witnesses tell Amnesty International. Detainees awaiting trial have been beaten and tortured in official and unofficial holding centers in Istanbul and Ankara since the July 15 coup attempt by parts of Turkey’s military, the human rights group alleged this week, citing interviews with detainees’ lawyers, doctors and a person who was on duty at one of the centers in Ankara. “What a disgusting editorial! And yet I love it, as it shows just how desperate the pro-jihadist “humanitarian” camp has become. This piece of trash is filled with lies. Firstly, east Aloppo is a ghost town, with max. 40,000 civillians, as reported by the Guardian itself. The vast majority live under Assads control in west Aleppo. Unlike what this editorial claims, it is the jihadists who have shelled west Aleppo killing thousands. There is no humanitarian catastrophe in Aleppo, as the Syrians and the Russians are doing everything to avoid it. This is of course unlike the behavior of the US and their PKK terrorist allies in and around Manbij, where a siege has been enforced for two months, where ppl starve & are subject to daily bombing massacres by the US & French airforce. Erdogan ,after the failed putsch, has gained popularity, and once he cleans the army from those who betrayed democracy, Erdogan will be in a position that he can demand, from the US to end the fight in Syria and eliminate ISIS and PKK, US can not push for another coup, in Turkey, the events in Turkey proved that Erdogan is very popular , and loved by many Turks , the opposition to Erdogan are weaker than ever, he gained popularity in Turkey and to that , most Arabs are happy for his success in defeating his enemies, except the traitors ,( some are here on Syria comments , who are now so angry they are claiming that Turkey is so bad now, and they want us to believe them , but no one will,) Turkey has important strategic location , in addition to its wealth, natural beauty, and its historic leadership in the Middle East , with Erdogan who has gained respect and love among Turks and Arab, Erdogan demands from US to end the fight in Syria and rid Syrians from the corrupt and ferocious dictator regime, will be hard to refuse ,because of the importance of Turkey, U S can not afford to lose Turkey, Europe can not afford that either, the botched failed coup , increased Erdogan popularity by far, US was afraid of him , but now they are more afraid , , , US will be making serious mistake , if they encouraged Greece , or Bulgaria to fight Turkey, Iran whose friendship with Obama government ( which was intended to clip the wings of Erdogan) can not dare to fight Erdogan , it is better for US to get rid of Assad quickly to please Erdogan before Erdogan decides to leave NATO, or close the military bases in Turkey, the price for the failed coup, is Assad head, unless US manage to assassinate Erdogan. That is much more stupid. The US government has lost any hope it had of creating regime change in Syria. The US government-enabled war in Syria, for all intents and purposes,is over. Syria for the Syrians… and its future is in the hands of God and its people. Mr Brennan what makes you an authority in Syrian affairs? What has been your contributions to the country? Keep talking for your pay! Alan, enjoy your celebrations while you can. They won’t last too much longer than your celebrations over the Turkish ‘coup’. Turkey will be free to produce oil , which they have been under restrictions up till now , Turkey known reserve of oil is 295 million barrel, more explorations estimate that Turkey has far more than that, in Caspian Sea , north west Turkey and south east Turkey , that indicated that Turkey may become the richest country in oil, more than KSA, that in addition to their reserves in natural gas, and they are rich in Uranium, Turkish economy is bound to improve, and that what the west is jealous of. Dear Syrians in France and the United States! While the Caspian sea is indeed home to considerable degrees of hydrocarbon reserves, Turkey does not border it meaning she has absolutely no claims whatsorever on its hydrocarbon contents. Turkish access to the Caspian sea would require Turkish invasions of Azerbaijian, Iran or Russia. Turkey and Iran are equally matched in conventional terms, however, going from Soviet precedent, the purge is likely to considerable reduce the combat value of the Turkish army in the short to mid term. Given that the geography in the areas there greatly favors the defender, Turkish attempts to capture Iranian or Azeri (attacking Azerbaijian would most certainly result in an Iranian intervention) territory are thus likely to fail. A possible Turkish invasion of Russia, in order to get access to the Caspian, is too ludicrous to even contemplate. I think that the Russian leadership is pursuing meticulously, matrices of US policy and activities, especially after the denunciation of the agreement between Kerry and Lavrov about the process of Aleppo, because killary wants to turn the United States into a nuclear radioactive dust by her brutal instinct. It is nasty because the worst up shots of Clinton’s gaming has been the refusal of the UN to support the corridors for citizens to get the hell out of dodge. No UN support means that the al Nusra mobs will shell and snipe civilians trying to escape then blame the Syrian army. The UN stance was another that seemed to alter overnight, from a request to monitor the corridors to a demand that supplies be allowed in to the al Nusra controlled area of Aleppo. The Syrian government has announced that anyone who is unarmed, any age, any gender just unarmed, may leave Aleppo without problem. In fact they announced an amnesty on anyone who had been fighting against them, as long as they disarmed themselves. This is a genuine attempt at reconciliation and Clinton is desperate to stymie it however she can. You cannot get much lower than sacrificing the lives of thousands of women and children just to make political credit, but that is the scum which seeks power in USA. The neutral and often warm relationship that Israel has with islamists and the GCC is not new and did not start in 2011. Hamas was initially supported by Israel to weaken the PLO, Saudi Arabia befriend israel to upset iran, lebanese politicians allied with KSA wanted israel to finish the job in 2006 and eliminate hizbullah, militants in southern syria get treated in Israeli hospitals and receive support from Israeli army, at times both israel and rebels attacked syrian troops in south Syria in the same place at the same time, isis and Nusra did not fire a shot at Israel but they killed scores of arabs and muslims, and the list goes on and on. You have the right to be an idiot or play like one but Israel and islamists, with rare exceptions, are in the same camp, Israel likes islamists because they help destroy its enrmies and weaken the socities of its neighbours, and islamists like Israel because it took iran and hizbullah as enemies. The battle for Aleppo has begun. It appears the front line stretches for ~20km. One twitter user claims 4 battles have begun across aleppo, 3 of which are fake and the other will be completed. Also rebels and civilians are burning tyres across the frontlines in order to obscure the view for fighter planes. BREAKING and URGENT: Radio chatter from Regime in Aleppo indicating extreme panic among Generals, not knowing where to send reinforcements. I’m curious. You refer to the so called “opposition” as “Sunni Militias”. Is that entirely accurate? Wouldn’t it be more accurate to call them Jihadi’s, or Islamists? If there is any question as to whether these “Sunni Militias” are Islamists, or Jihadi’s, I direct you to any of their websites, or video productions. They don’t hide it, nor do any of the “Opposition” propose anything other than a religious government under Sharia Law. Your article speaks volumes. It’s obvious that you want Syria to be a religious dictatorship, run by a Taliban style government. Me, I’d prefer a secular government. The Assad regime was definitely cracking down on the Islamist terrorists, as does the U.S., and Assad lost his legitimacy for not tolerating the Islamist uprising, or colluding with it. It’s not much of a choice is it. Can you blame Assad for resisting the Islamic Terror? ie: Car bombs, indescriminant mortaring of Damascus, killing of civil servants, and thousands of police as infidels, etc. etc. If you doubt they “rebels” engaged in any of the above, I direct you to the opposition websites and video productions where they celebrate the slaughter of children, gays, christians, and blasphemers.